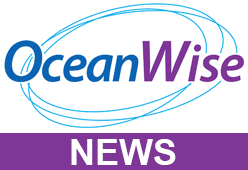 OceanWise was invited to contribute on the subject of ‘Maritime Data Management -Achieving Best Practise’ at the 18th Meso-American and Caribbean Regional Hydrographic Commission (MACHC) Capacity Building Seminar. Entitled ‘Hydrographic Governance and Managing Hydrography in Challenging Environments’, the event was held it the Melia Marina Resort Hotel in Varadero, Cuba on 27-28 November 2017. The seminar, attended by sixteen delegates from Belize, El Salvador, St Vincent and the Grenadines, Antigua & Barbuda, Jamaica, Grenada, St Kitts & Nevis, Anguilla, Haiti, Dominican Republic, Panama, Barbados, Suriname and Cuba, learnt about the legal obligations and responsibilities required of States developing their hydrographic capability. International compliance with the International Maritime Organisation (IMO) Safety of Life at Sea (SOLAS) convention, the International Hydrographic Organisation (IHO) for Data Collection and Processing standards and the International Association of Marine Aids to Navigation and Lighthouse Authorities (IALA) is mandatory. The two-hour session on Data Management, presented by John Pepper, described how to best manage the recently collected bathymetry data in the region in a way that supports not only the provision of accurate navigational charts and publications, but also how effective data governance will support the wider much needed economic and socio-economic growth in these regional Small Island and Mainland States. Emergent activities, such as marine planning, conservation, risk management and emergency response can be delivered far more effectively in the future if, as John emphasised, the value and benefit of understanding of data governance and the data life-cycle, from collection to ingestion, management, sharing and re-use, to effective archiving is realised and appreciated by all stakeholders. OceanWise looks forward to working with these countries to further develop their capability in achieving Data Management ‘best practise’.